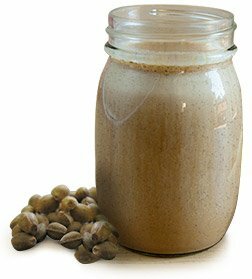 The 6 Best Additions To Your Protein Shake! If you're still pouring fruit juice into your protein smoothie, you're seriously missing out! Here are 6 other smoothie-boosters you should include instead. For many fitness fanatics, protein shakes are as sacrosanct as a gym membership. After all, they can be the perfect way to flood your body with the nutrients needed to bounce back from a workout, burn fat, boost energy, and build muscle like a pro. But too often we fall into a smoothie rut by sending the same old ingredients for a ride in the blender. It's time for a protein-shake recharge! Beyond the protein powder and milk, here are our picks for the best and most exciting ingredients to toss into the blender that will amp up the nutritional value and flavor of your shakes. Happy slurping! Ice cubes certainly chill out a smoothie, but they also tend to water them down. On the flipside, bananas deliver tempered sweetness along with creamy, dessert-like texture. Following a stiff workout, the carbs in a frozen banana will also help drive recovery nutrients into your tattered muscles. To freeze, simply peel ripe bananas, chop into thirds, and freeze on a baking sheet. Store the subzero banana chunks in a zip-top bag until you need a shake fix. Many smoothie recipes call for using fruit juices such as orange or apple. But when paired with fresh fruit this can send a tidal wave of sugar into your bloodstream. This might be OK after an arduous workout where you can better benefit from a sugar rush, but for the most part you're best served using milk or unsweetened non-dairy beverages like almond milk and coconut water as your smoothie base, and simply relying on whole fruit for a sweet kick. When it comes to your blender creations, it's time to go nuts for almond butter. Not only does this uber-spread infuse shakes with richness, it bests peanut butter when it comes to heart-healthy monounsaturated fat and the bone-building mineral trio calcium, phosphorus, and magnesium. The healthy fat it provides will also help give your drink more staying power. 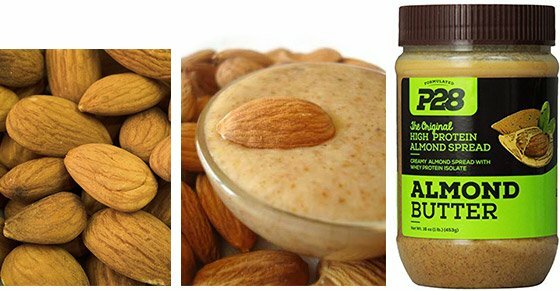 Try the incredibly delicious protein-fueled P28 butter, or Justin's almond butters, including their vanilla-flavored almond butter that can make any shake taste a little more like dessert. Worthy of a resounding Opa!, your taste buds will appreciate that velvety, delicious thickness of Greek yogurt you can't get with traditional styles of the cultured delight. Nutritionally, Greek yogurt is packed with muscle-sculpting protein, bone-strengthening calcium, and those gut-friendly critters known as probiotics. 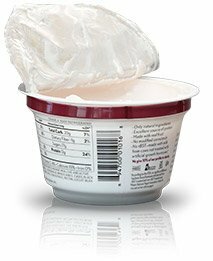 Just be sure to use only plain Greek yogurt, to avoid glugging back unnecessary processed sugars. Also consider splurging for organic versions, which guarantees that the cows were not pumped full of antibiotics and hormones. If you love chocolate smoothies—who doesn't?—cacao powder is a great way to add taste without all the extra calories from fat and sugar. When most of the cacao butter is pressed from ground cacao beans, a cakey substance is left behind that can then be pulverized into a powder. Voila, cocoa powder! Opt for brands like Navitas Naturals that offer raw cacao powder instead of "Dutch-processed," which is treated with alkali to give it a milder flavor, but can lay waste to most of its ultrahealthy flavonoid antioxidants. Cacao powder is also a surprising source of fat-fighting fiber and energy-boosting iron. Also called hemp hearts, hemp seeds can instantly make your shakes better. The subdued cousin of cannabis delivers great nutty flavor along with a praise-worthy amount of protein—about 10 grams in each three-tablespoon serving. In fact, hemp contains all of the necessary amino acids needed to form a complete protein, making it a plant-based protein with serious muscle power. To up its nutritional cache further, the seeds are laced with must-have omega fatty acids and magnesium, a mineral associated with a reduced risk for coronary woes. This is our wild card shake ingredient. That's because, when it comes to an antioxidant payload, regular green tea has met its matcha. Star of the centuries-old Japanese tea ceremony Sado, matcha is made by finely grinding tea leaves into a very fine verdant powder with a clean, grassy sweet taste. A University of Colorado study found that when you consume matcha, you take in up to 137 times more antioxidant firepower than you get when you simply drink green tea steeped from whole leaves. What's more, scientists from Pennsylvania State University discovered that combining exercise with the increased intake of green tea antioxidants ramps up the burning of belly blubber by favorably altering genes involved in fat metabolism. For a smoothie with exotic flare, blend together coconut milk with protein powder, frozen mango, fresh ginger, and matcha powder. Look for matcha powder online and in finer tea shops. Place all of the ingredients in a blender container in the order listed, and blend until smooth.